Vadodara, Oct 29 (IANS) All-rounder Deepak Hooda will replace veteran pacer Irfan Pathan as the captain of the Baroda Ranji Trophy team, Baroda Cricket Association (BCA) secretary (in-charge) Snehal Parikh has confirmed. “We will have Deepak Hooda as the captain and opener Kedar Devdhar will be the vice-captain of the side,” the BCA secretary told IANS over phone on Sunday. 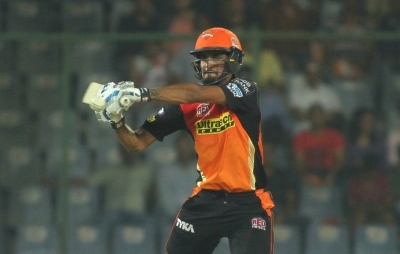 Pathan, who led Baroda in the first two matches, was dropped before their tie against Tripura on November 1. However, the BCA secretary said the 33-year-old was dropped to give the youngsters in the side a chance. “See, Irfan has played the first two matches, we have a system and we will have to follow it, this has been done to make a young team. We have to give the youngsters a chance,” Parikh said.